Ever wondered how much other retailers are making and what their profit margins are? Are you curious about how many transactions other stores are processing and how many customers they have? 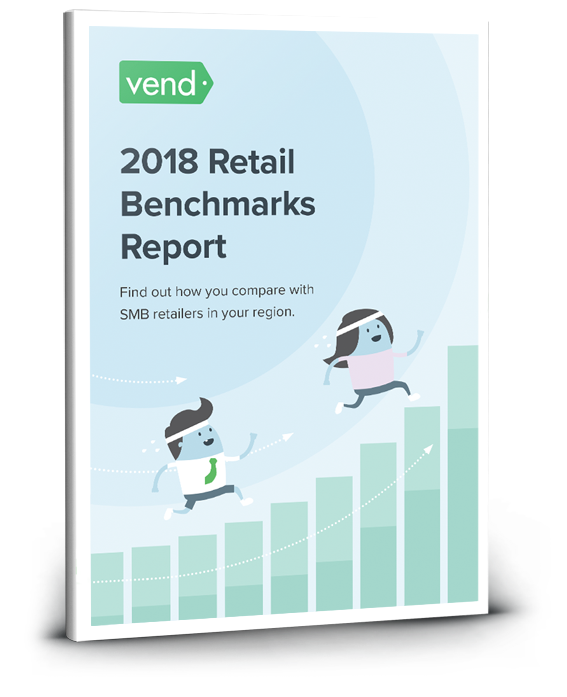 Welcome to Vend’s 2018 Retail Benchmarks Report! 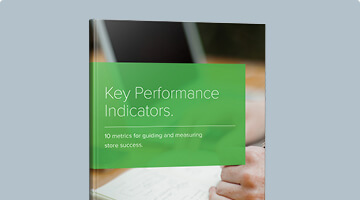 This resource sheds light on the performance of SMB retailers across the world. 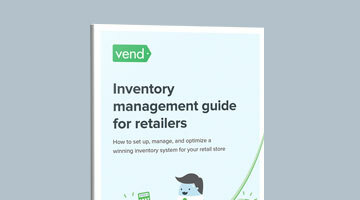 We analyzed the data of more than 13,000 Vend retailers and uncovered insights into their revenues, transaction values, basket sizes, customers, and more. On average, a retail store makes $22,340.88 (USD) per month, with a gross margin of 50.96%. On average, retailers earned just over $22,300 per month, per store. Looking at the data from a regional perspective, it looks like retailers from Australia and New Zealand made a bit more, with $26,395 and $26,475 respectively. North American retailers made $22,430, while those in the UK had a monthly revenue of $19,223 per store. In terms of specific industries, furniture stores had the highest monthly revenues. They were followed by beer, wine and liquor stores and sporting goods retailers. The lowest revenue-grossing retailers include specialty food stores, office, stationery, and gift shops, and cosmetics retailers. On average, merchants had a margin of 50.96%. Comparing the data across regions, we didn’t find a lot of variances in profit margins, though the UK leads slightly at 53.12%. The differences in margins were much more pronounced when we compared the data across multiple industries. Interestingly, some of the retailers with the highest revenues had the lowest margins. We found that while beer, wine, and liquor stores had the second highest revenue in our study, they had the lowest profit margin — 38.91%. Similarly, sporting goods retailers, which had the third highest revenue numbers, had relatively low profit margins (42.09%). And while cosmetic retailers reported low revenues, their profit margins were relatively higher at 57.94%. Of all the retailers in our study, beverage manufacturers had the highest profit margins at 60.68%. Over the past 12 months, the retailers in our study processed an average of 482 transactions per store each month. Their average transaction value was $53.98 (USD), and their average basket size was 2.73 items per sale. Retailers in New Zealand processed the most number of sales with 603.03 monthly transactions per store. Not so far behind was the UK with 590.85 transactions, while Australian and North American retailers processed 506.09 and 429.41 monthly transactions respectively. Beer, wine, and liquor stores processed the most number of sales, with 963.11 monthly transactions. They were followed by specialty food retailers and beverage manufacturers, with 806.79 and 589.32 monthly transactions respectively. The average transaction value in retail was $53.98. Australian retailers had the highest transaction value ($56.80) while retailers in the UK had the lowest ($40.65). When we compared across various industries, we found that furniture retailers had the highest transaction value ($252.15). They were followed by jewelry, luggage, and leather good stores ($138.00) and shoe stores ($111.93). Meanwhile, specialty food stores had the lowest transaction value with $22.86, followed by beer wine and liquor stores with $31.92. We also looked at basket size, which is the number of items in each sale. On average, the retailers in our study had a basket size of 2.73. Food and drink retailers generally had higher basket sizes. Beverage manufacturers had the highest with 3.77 items, followed by specialty food retailers and beer, wine, and liquor stores with 3.71 and 3.39 respectively. Meanwhile, shoe stores had the lowest baset size (1.54) followed by jewellry, luggage and leather goods (1.81) then fashion and accessories (1.97). Retailers had an average of 487.96 customers (that they know of). From a regional perspective, retailers in North America seemed to be the best at collecting customer information; they had an average of 606.28 customers in their database. On the other end are retailers in the UK, with 376.67. Beauty and cosmetics retailers had the most number of customers in their database by a wide margin — 1121.96. Electronics and appliance stores came in second for customer database size with 742.74. They were closely followed by shoe stores, with 741.76. On the low end were office supplies, stationery, and gift stores (284.62), beverage manufacturers (331.68) and speciality food stores (367.65). Want to dig deeper into these findings? 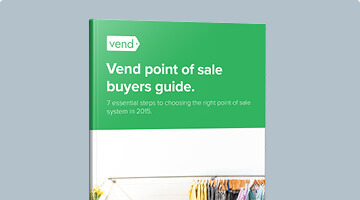 Download the full version of Vend’s 2018 Retail Benchmarks Report. In addition to gaining access to the data, you will get detailed action steps and recommendations to help improve your business metrics and KPIs. Also included in the report are expert insights from industry influencers and thought leaders.